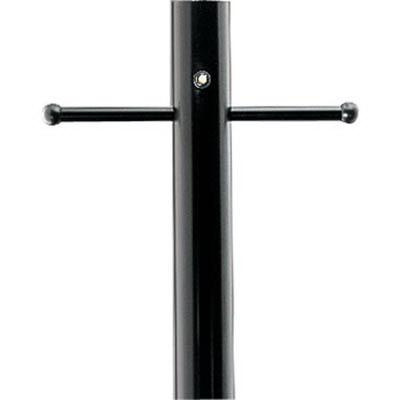 Progress Lighting Post Lights & Accessories Utilitarian/commodity outdoor post in black color, is suitable for outdoor lighting applications. It measures 3-Inch Dia x 84-Inch. It features sturdy aluminum construction. This 7/8-Inch Dia feed hole located at 10-inches from bottom of post facilitates electrical feed. It comes with ladder rest except with photoelectric cell.